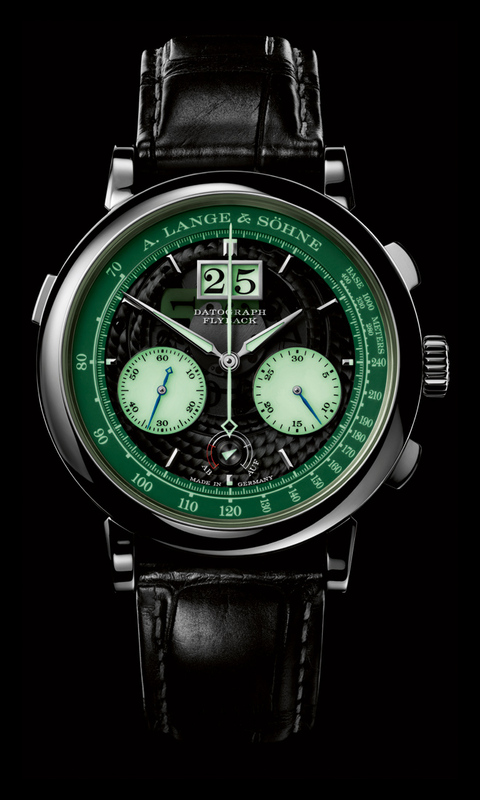 Introduced in 2010, “Lumen” is a series of exquisite A. Lange & Söhne high horology timepieces executed with semi-transparent dials and luminous displays. 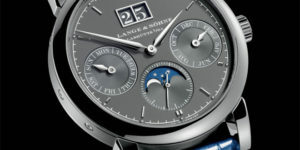 Beginning with the Lange Zeitwerk “Luminous” or “Lumen”, it was quickly followed by the Grand Lange 1 “Lumen” in 2013, the Grand Lange 1 Moon Phase “Lumen” in 2016 and now, 1 year shy of its traditional three year interval, the fourth model of the series – the Lange & Söhne Datograph Up/Down Lumen presented in limited edition production of 200 fine timepieces. 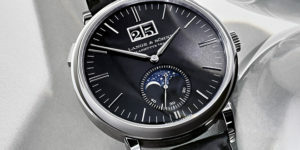 The new A. Lange & Söhne Datograph Up/Down features the signature “Lumen” translucent dials and high legibility luminosity, this time accompanying the brand’s classical flyback chronograph with its characteristic outsize-date display and harmonious dial design thanks to its iconic design philosophy defined by two subsidiary dials for the seconds and the precisely jumping minute counter, creating baseline symmetry for the eye to follow. 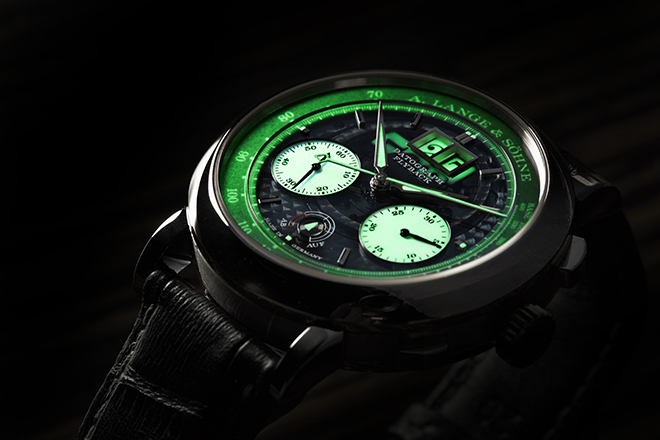 The fourth model of the “Lumen” series utilises a special coating on the semi-transparent sapphire- crystal dial to filter out most of the visible light, leaving only the ultraviolet spectrum which charges the luminous, separate outsize date displays – a luminous tens cross and a black printed units disc made of transparent glass which rotates above a luminous background. 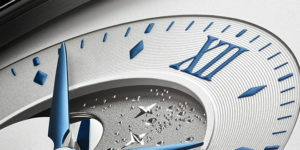 With sufficient ambient light, the switching action of the date display at midnight can be observed in detail. 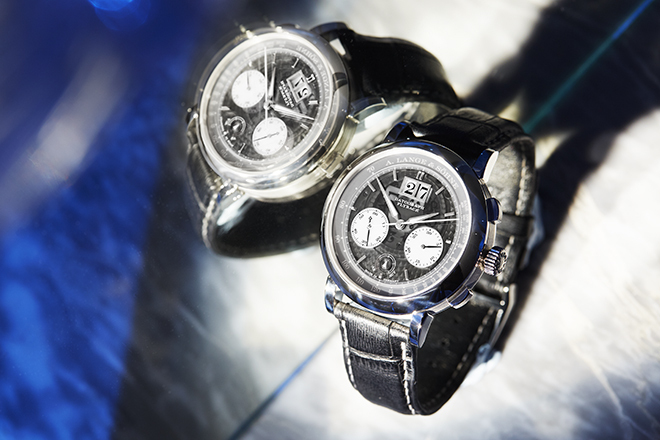 The darker the surroundings, the more clearly the displays contrast against the darkness. 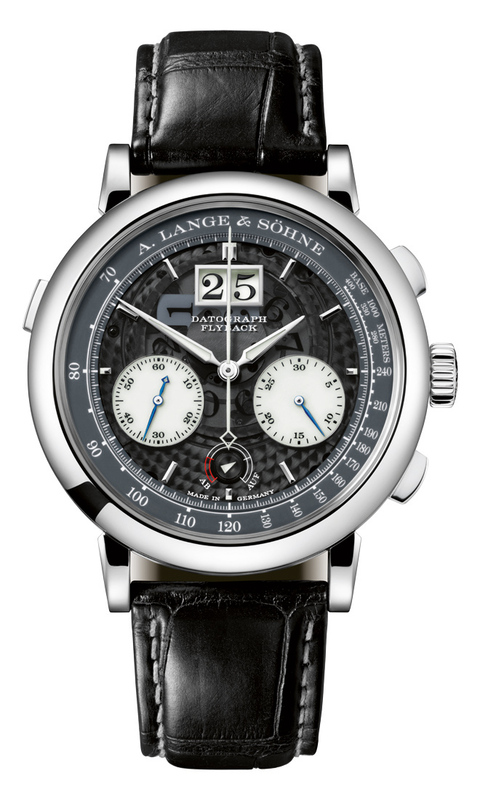 The A. Lange & Söhne Datograph Up/Down Lumen takes the maison’s trademark flyback chronograph with precisely jumping minute counter and adds power-reserve indicator at 6 o’clock featuring a small arrow which enters the red zone of the display as its 60 hours reserve approaches entropy. 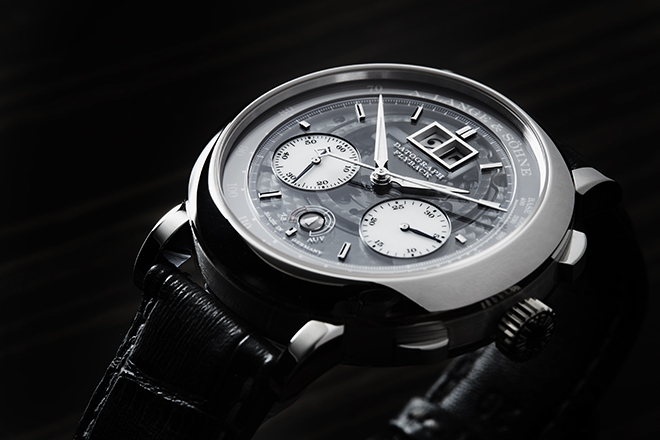 Luminous aesthetic elements are accompanied by the lavishly hand-finished 454 component manually wound calibre L951.7 with Lange’s proprietary cam-poised balance wheel, paired with a freely oscillating hairspring. 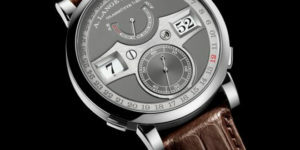 The new A. Lange & Söhne Datograph Up/Down is available in a limited edition of just 200 watches, comes in a 41-millimetre platinum case.